It’s no secret that those who are heavily involved in the world’s traditional banking systems have a disdain for crypto, likely because of the many ways the relatively young technology challenges the traditional notions of banking. While offering a somewhat cliché opinion about the cryptocurrency markets, Huw van Steenis, the senior advisor to the Bank of England Governor Mark Carney, said that cryptocurrencies fail fundamental tests that mark a solid and successful financial tool. Although this assessment is dreary, the ever-growing innovation of FinTech companies is leading many traditional banks to see a growing amount of competition, much of which is coming from crypto-friendly companies like Robinhood and Revolut. Many proponents of cryptocurrency believe that it could one day drastically alter the way the world’s traditional financial systems, including banking, work. The nature of decentralized currencies, like Bitcoin, would shift a significant amount of power away from institutions and into the hands of individuals if they were to be widely adopted on a global scale. “I’m not so worried about cryptocurrencies. They fail the basic tests of financial services. They’re not a great unit of exchange, they don’t hold value, and they’re slower,” Van Steenis explained. Revolut was just recently granted a European Banking License by regulatory authorities. Van Steenis further added that the Bank of England’s (BOE’s) biggest concern at the moment is how to regulate new, technology-based, entrants to the banking system. Examples of FinTech companies that are entering the banking industry and are rapidly changing the way customers interact with banking services are Robinhood and Revolut, who are both rapidly expanding their offerings of traditional banking services with a digital twist. 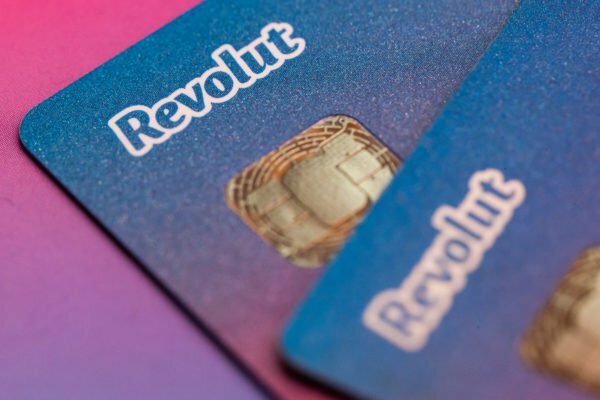 Revolut was just recently granted a European Banking License by regulatory authorities, which will allow them to offer Europe-based customers a significant amount of digital banking services typically found at traditional institutions. It is important to note that both Robinhood and Revolut offer users a gateway to purchase a variety of cryptocurrencies. Presently, Revolut offers users the ability to gain exposure to five cryptocurrencies, including Bitcoin, Bitcoin Cash, Litecoin, Ethereum and XRP. As these digital banking services continue gaining traction and expanding their customer base, it will likely introduce a significant amount of investors to cryptocurrencies, which will further validate their usefulness as both tools and investments. Van Steenis said that if traditional banks fail to innovate and digitalize as quickly as their FinTech-based counterparts, they could lose out on customers. “What I love when meeting with Fintechs is their obsession with customers. The challenge is will they get customers before the traditional banks can innovate,” he said.